Made from quality fine weave 210 denier nylon.Fully breathable & acid free. Holds several garments. Great for suits, shirts, trousers, skirts, etc. 6" gusset for extra space & width. Easily folded when not in use - resists creasing retaining its smart appearance. Top slit for hanger hook(s) with velcro fastener. Lower metal grommet to allow cover to be carried easily folded in half. Quality, durable full length zip, shaped shoulders and double stitched seams. Useful in the wardrobe to protect from dust and on the move! Size: Length x Width 44'' x 23'' (112cm x 58cm) approx. 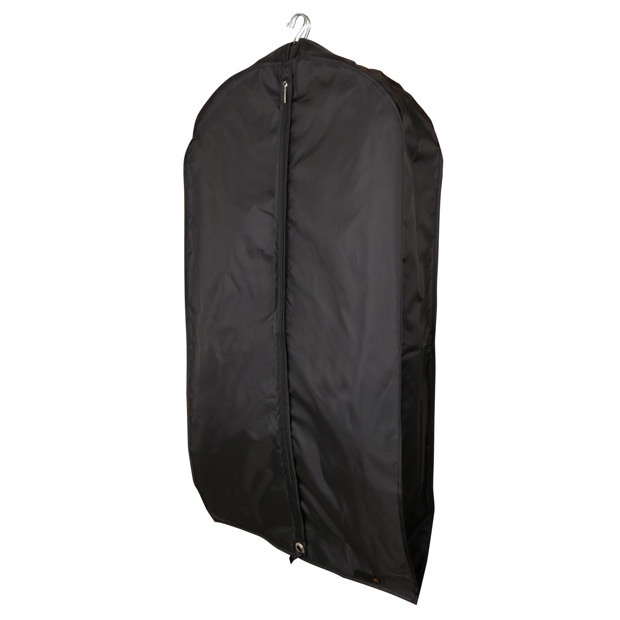 Excellent quality , good size to hold even 2 suits in one .